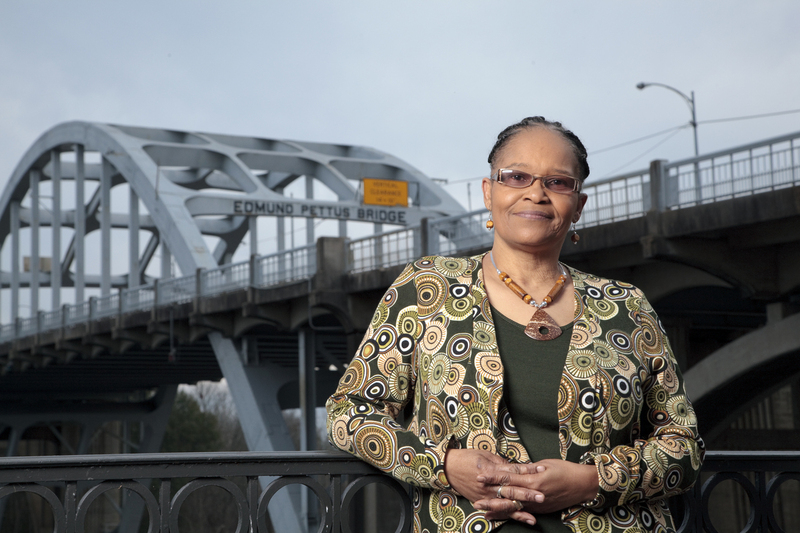 interview: Lynda Blackmon Lowery, Author Of 'Turning 15 On The Road To Freedom' Lynda Blackmon Lowery was still a child when she joined the legendary 1965 march. Now she's written a book for young readers about the experience, called Turning 15 On The Road To Freedom. At age 15, Lynda Blackmon Lowery was the youngest person to march all the way from Selma to Montgomery in 1965. 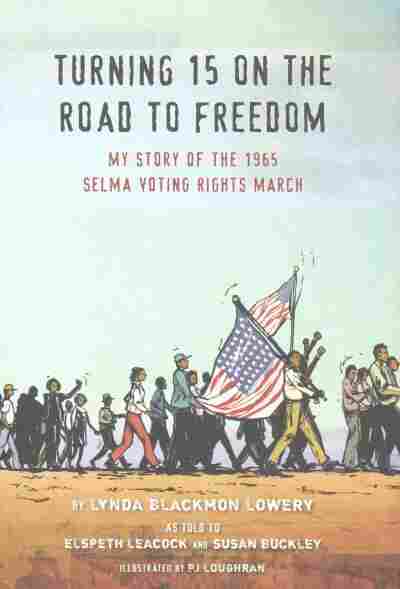 Lowery, who still lives in Selma today, has written a book for young readers about her experience: Turning 15 On The Road To Freedom: My Story of the 1965 Selma Voting Rights March, an illustrated memoir. "I would like for young people to know that each day of your life is a journey into history," Lowery tells NPR's Arun Rath. "You have the ability to change something each day of your life. Believe it or not, people, it can't happen without you." When Reverend King started to speak, the whole church got quiet. Reverend King was talking about voting rights and how our parents was going to get the right to vote, but we would have to do it nonviolently. He had a standing ovation. I like to tell people by the age of 15 I had been jailed nine times. The first time we actually went to jail, I was kind of scared. But we had each other's back. What we were going to do with each other's backs, I don't know, because those big policemen had guns and so forth. But we were there for each other. On Bloody Sunday I was very near, very near the front. I was, like, in the 19th line from the front. When we got to the crest of the bridge, the top of the bridge, and we saw all these men in blue — that was the Alabama State Troopers. We saw the Sheriff Jim Clark and his deputies, and we saw his posse. They were on horseback. 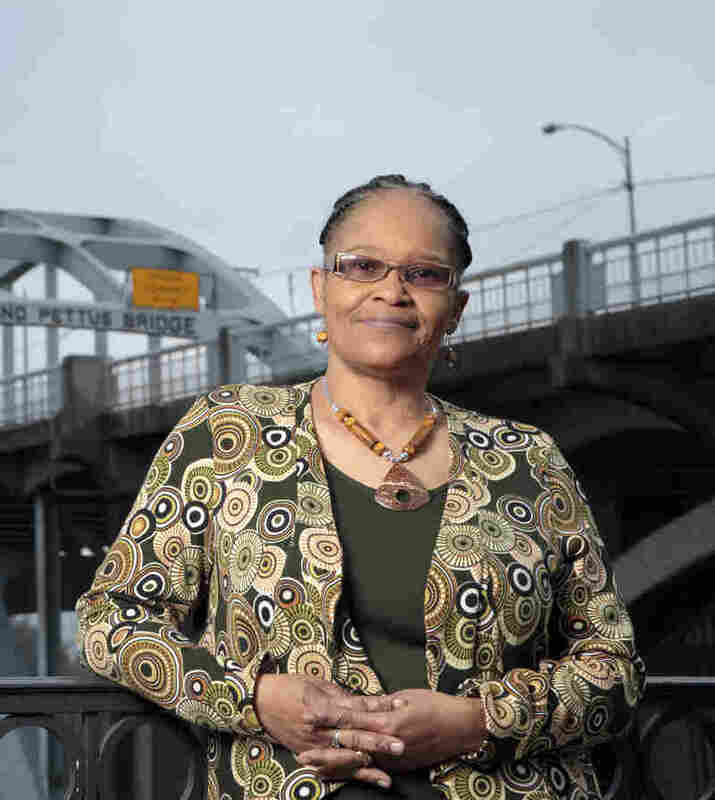 Lynda Blackmon Lowery turned 15 years old while participating in the 1965 civil rights march from Selma to Montgomery. I really wasn't afraid that day until we got down there, all the way to the state troopers, and they said we were an illegal assembly and we had to disperse, and I heard this pop pop sound. Later I found out it was teargas. And I remember I couldn't breath, and I was scared. I was on my knees and somebody grabbed the back of my collar, [my] coat, and started pulling me backwards. And I guess I was resisting because they grabbed the front of my lapel and I bit the hand that was on the front of the lapel. And I heard that horrible n-word. And I felt him hit me twice. I ended up with seven stitches over my right eye. I still have that scar. And 28 stitches in the back of my head, and I still have a knot in the back of my head from that. I was 14, I wasn't a threat to anybody. There was really about 3,200 people that left Selma on that march that day. But only 300 were allowed to walk all the way from Selma to Montgomery, and I was among that 300. I was terrified. But I also knew that if I did not embrace this fear, or take this fear, it would one day own me.